When you walk out of a counseling session do you have a clear idea of what you need to do and how to go about doing it? Most models of Western Psychotherapy work toward insight as a primary objective, or try to help you change your thinking. In A Natural Approach to Mental Wellness, Gregg Krech asserts that psychological and emotional health have more to do with skillful means. Drawing on the principles of Japanese Psychology and Eastern Wisdom, Krech identifies four key skills that can be learned – Acceptance, Attention, Co-existing with Unpleasant Feelings, and Self-reflection. These skills are developed through practice – like playing the piano – not by talking (which helps us become better talkers). Becoming “skillful” is how we cope effectively with anxiety, depression, anger, shyness and just about any real-life problem we encounter as our life unfolds. Mastering these four skills can help us live a more purposeful and meaningful life, while being a bridge to spiritual life as well. This small book is both practical and empowering -- a radical departure from traditional models of mental health which offers us hope that our lives are not determined by a diagnosis. Gregg Krech is the author of the award winning book "Naikan: Gratitude, Grace and the Japanese Art of Self Reflection" (Stone Bridge Press). His work has been featured in The Utne Reader, Cosmopolitan, Yoga Journal, Experience Life, Counseling Today, SELF, Spirituality and Health and many other publications. 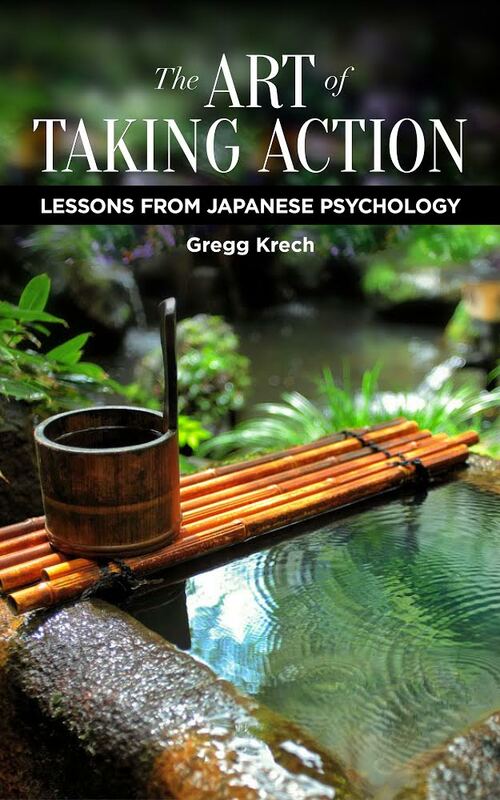 Gregg Krech is the author of "A Natural Approach to Mental Wellness", "A Finger Pointing to the Moon", "Concise Little Guide to Getting Things Done" and most recently "The Art of Taking Action: Lessons From Japanese Psychology" which was recently released to rave reviews. A Natural Approach to Mental Wellness is available in Kindle and Nook Formats. Links for Kindle will take you to Amazon.com and Nook will take you to Barnes and Noble. To purchase the paperback copy continue to the bottom of this page. What a gem! 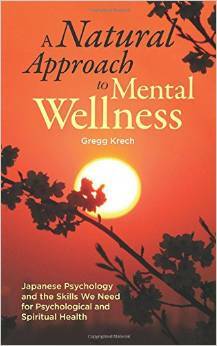 I intend to hand out copies of Gregg Krech's A Natural Approach to Mental Wellness to members of my congregation and put a copy in the church library! The majority of clergy in this country were trained in Pastoral Care and Counseling based on traditional western therapeutic assumptions -- talk therapy, referral for medication, and a focus on "problems". More often than not it has been my experience that this approach has left those seeking my counsel--surprise, surprise!--more focused on their problems. As I read this book one major thought came to the fore: we often create the suffering in our lives. Life does not unfold as we wish or plan and our response to the inevitable or the unplanned is often one of complaining, anger, a refusal to accept reality, or frustration. This gem by Gregg Krech addresses this kind of issue as well as many more. We may not be aware of our attempts to control life, which ultimately leads to failure, but in so doing, often makes life quite miserable for ourselves and for others. With the development of the skills he suggests, we can act when we don’t feel like doing anything and act in a way that we do not feel like doing. “We no longer are slaves to our feelings.” Another area struck me as particularly important: pay attention to our bodies. We are not walking heads but hopefully, integrated beings. This emphasis still tends to be limited in contemporary psychological teaching. Finally, his emphasis on the importance of living a life of gratitude is one that is based on the lives and teachings of the spiritual leaders throughout history. I strongly recommend this book. -- James A. Schmeiser, PH.D., Professor Emeritus, King’s University College at the University of Western Ontario. The ToDo Institute also recommends Constructive Living. Thirty Thousand Days - Free Sample Issue for those that have never received. by Peter R. Breggin, M.D.